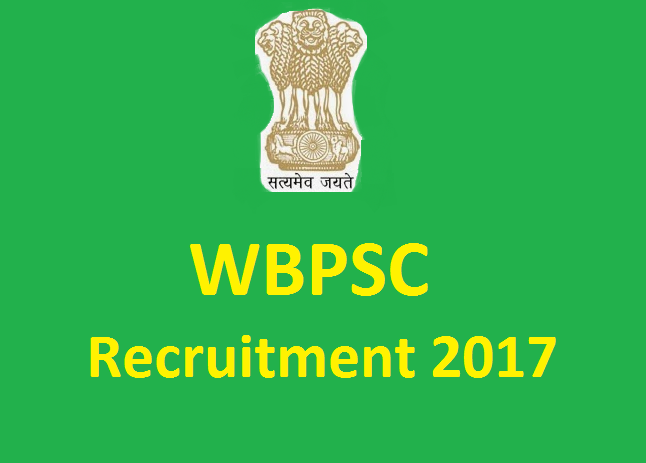 Apply online application WBPSC Recruitment 2017 255 Assistant Professor. West Bengal Public Service Commission (WBPSC) Recruitment Board, latest notification for Assistant Professor. Applicants can get full advertisement below and submit the WBPSC online application at www.pscwbonline.gov.in. Applicants who are going to apply, ensure that you are eligible for post of Assistant Professor. The applicants will have to apply online, no other option. The last date of submitting online application is 21.08.2017 to 11.09.2017. WBPSC notification further information such as eligibility criteria, syllabus and how to apply etc. listed below. Education qualification: Good academic record, with at least 55% marks (or an equivalent grade B in 7 point scale wherever grading system is followed) at the Master’s Degree level in a relevant subject from an Indian University, or an equivalent Degree from an accredited foreign University. Selection: Screening Test/ Written Test & Interview. Age Limit: 37 years as on 01.01.2017. Age relaxation is admissible as per rules. Payment of application fee can made through online/ offline. Online Method: (i) through debit/credit cards: Convenience fee 1% of the examination fee subject to a minimum of Rs.5/- (Rupees Five) only plus 18% G.S.T. on convenience fee, ii) through net banking: Convenience fee of Rs.5/- (Rupees Five) only plus 18% G.S.T. on convenience fee. Off-line Method: For offline payment through bank counter: Service Charge of Rs.20/- (Rupees Twenty) only. How to apply: Eligible applicant require to apply online through WBPSC Recruitment 2017 website pscwbonline.gov.in from 21.08.2017 to 11.09.2017. 1. Log on to the West Bengal Public Service Commission (WBPSC) website pscwbonline.gov.in. 6. Make the payment by through bank counter: Service Charge of Rs.20/- (Rupees Twenty) only. Starting Date for Apply Online: 21.08.2017. Last Date to Apply Online & Online Fee Payment: 11.09.2017. Last Date of Payment of Fees through Offline: 12.09.2017. Applicants have great chance to get jobs West Bengal Public Service Commission, however if someone want to ask anything please comment below.